You can use Web Help Desk ticket types to link related tickets and manage them as a group. Perform this procedure to track multiple incidents in one problem ticket. This process can help you track all incidents related to a problem in your company, such as a network failure or power outage. 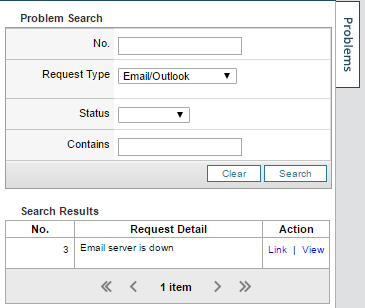 Open the service request ticket that you want to change to a problem ticket. Click Problem, and click Save. The problem ticket will be the parent of each incident ticket. Open the service request ticket that you want to change to an incident ticket. 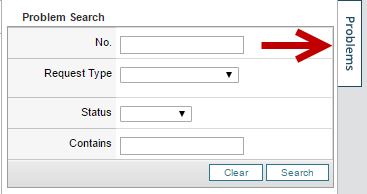 Within the incident ticket, click the Problems tab. Search for the problem ticket that you want to make the parent of the incident. In the Action column, click Link to make the selected ticket the parent of the current ticket. Repeat steps 3 - 8 for each incident you want to link to the parent.